Last edited by mqywaaah; 09-06-2012 at 09:47 PM. I don't really follow any other leagues. I sympathize with Lion in France because Juninho Pernambucano is there and he was one of my favorite players in Vasco da Gama, but he has declined quite a bit. La Liga is pretty much hopeless. 8 in a row and still got 10 points to make up? Let's hope some silverware is coming through in the CL. And Inter is unstoppable right now. BTW, you can get the official 09 jersey for about 39 bucks + taxs + free shipping from niketown.com right now with some coupons. FFF = French Nation Team!!! If I must, yes, FC Dallas...in hopes that someday we will see REAL soccer in the MLS!!! Not a big fan of the soccer south of the border...prefer European Soccer. European Soccer is more of team game, while Mexican soccer appears to be more of an individual game. Meanwhile U.S. soccer is more of the long ball, dump and chase game...also not a big fan. Euro-soccer has a blend of mid to short passing, team ball control, with some of the Brazilian creativity. I do wish that we could get better T.V. coverage of the sport...it is more entertaining than baseball and basketball!!! I used to love FC Barcelona when i was into soccer. I initially started liking them because i thought they had badass uniforms lol, but hey i was young. But now, i dont really get to watch none of their games anymore. Last edited by Underdog; 02-18-2009 at 04:28 PM. Man we sure have a lot of bandwagoners of elite-class teams in this thread (except Nike--go you). My team is Aston Villa. I'm a huge Chelsea fan because they used to be bottom dwellers and are now always close to the top... similar to the Mavs. I love the south of the border style of soccer. 92bDad has it all wrong. They play all styles in some of the league stuff there. They play one touch, beat your man, dump and center, ball control or throw it in front -- depending on the game and day. a fan of epl. without any doubt the best league in the world. don't really have a favorite team, but in terms of enjoying what they do out on the pitch arsenal (when healthy...) play a beautiful one touch short pass game. fabregas, von persie, and with eduardo back they will be tough to beat. liverpool is playing at a high level, and it's only a few points between they and man utd. man utd had an unbelieveable year. the villians are playing a tough, physical style that is winning matches. only watch a few la liga games, barca is my fav by far. the italians fall down too much for my liking, way over dramatic. they do have the best looking kits tho. if you'll willing to pay for fox soccer and setanta, you'll see a lot of international soccer, most of it live. "That (expletive) that Matt Barnes pulled," Odom said, "That ain't never going to happen again." Wednesday morning, Barnes was home (apparently with his kids) when he read the quote and responded on twitter. "Morning yall up early w/ the babies watchn Dora. Seems Lamar can't keep my name out his mouth maby I need 2 put my sons (expletive) diaper n it"
Setanta Sports, my friend. And Fox Sports Espanol. And ESPN Deportes. When my wife and I were on our honeymoon, I was watching ESPN Deportes sports center....It was February, and there were literally 58 minutes of futbol highlights and then they showed some NBA scores. That's still better than regular ESPN: 1 hour, 28 minutes of american-centric sports (understandably) and no soccer at all...... one highlight will make it to the top 10 every two weeks or so. Or they'll show 2 minutes of highlights every once in a while to promote ESPN Deportes. I have FSC and Setanta, and between the two I get every EPL game, most of the FA Cup games, and a good portion of the later round Carling Cup games. I don't really watch any other leagues, though I do think FSC gets a fair amount of Serie A on the air. 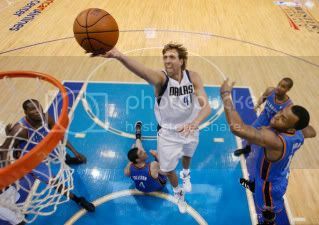 As for Chelsea, comparing them to the Mavs isn't really fair. Mavs are in a salary cap league, so they built themselves from the ground up on a level playing field with everyone else. Chelsea is "new money" defined, and that's the only reason they've gone from cellar-dwellars to a top team. Plus, Abramovich is just about the sleaziest dude on the planet. I've got no respect for him or his club. I don't support Man U one bit, but I hope they destroy Chelsea every time they play. At least Man U bandwagoners have been with the team since before 2004. Last edited by LonghornDub; 02-20-2009 at 10:50 PM. 9 in a row...... we had to capitalize on that Barça loss and we did! I completely agree. i see chelsea like the yankees, minus the history. they just buy anyone and everyone. liverpool reminds me of the red sox. Like the Yankees minus the history? IMO, I think it's a valid comparison because although there is no salary cap in the EPL... every other team has the same advantages. The Yankees can spend all they want, it doesn't mean they are going to be successful. They even missed the playoffs last year. Chelsea is a team on the rise. Furthermore, the Mavericks started getting better around the same time they found an owner who wanted to spend more money. It's pretty similar to me. I'm not a fan of Chelsea, but I can respect what they do... And Drogba is a beast. Yes, indeed. Drogba is a beast. But Torres is something. LIVERPOOL!! Two favorite teams are Chelsea of the Premier League (Michael Ballack is my favorite player) and Bayern Munchen of the Bundesliga. Deutschland will have World Cup 2010! Nowitzki4President is the greatest man to ever live! Tottenham Hotspurs - yid power! Since they sacked Ramos and brought on Harry, they've been quite formidable. Front office has been aggresive, the acquisition of Dafoe and Keane have shored up a clear weakness. They won last night, so relegation seems less likely. It may be too late for them to compete for one of the top spots in the table this year, but they'll be back. And Man U better watch out this Sunday in the Carling Cup. Yid Army will be out in force. And Redknapp will bring is A game. It's our only chance to play in the Euros. you're right, getting robbie keane back was a shot in the arm for the team. he was invisible at liverpool, blame benitez. dafoe is past the point in his career where he can affect a match. the changing managers isn't a positive, even with redknapp. Last edited by bernardos70; 02-24-2009 at 11:41 AM. I'll take that wager....man u will prevail. I guess we'll have to wait until Sunday to see United lose. I'm rooting with you! Go Spurs!